Manor Park Bowling Club was the first Crown Green Bowling Club in the country to obtain this prestigious accreditation in 2010 due to the dedicated efforts of our late treasurer Dave Collier and his fellow committee members. Club Management: focuses on club and committee structures and the general running of the organisation with particular emphasis to the following: Insurance: Making sure that the insurance covers all activities that the club delivers. National governing body affiliation: This ensures that the club will be able to enter leagues and competitions governed by the national body, together with the training and qualification of coaches. Club constitution: Consists of a document outlining the clubs functions, membership procedures, meeting cycles and committees etc. [A constitution helps clarify how the clubs procedures, work and it is important that it does not prelude membership on discriminatory grounds]. Codes of conduct for coaches, officials and volunteers: Developing, promoting and adopting good ‘codes of conduct’ for club members with specific tasks to help identify standards of acceptable behaviour. Action planning: Preparing action plans that are realistic, achievable and relevant to the clubs aims and needs. This helps with obtaining funding from local and national bodies. Duty of care and welfare: child protection policies, health and safety policies, appropriate risk assessment, compliance and training. It is the duty of every club to give serious consideration to the manner in which it conducts its activities and to take all reasonable steps to ensure that participants, visitors and volunteers can enjoy the sport offered by the club in a safe environment. This is particularly relevant in regard to the safety and welfare of young sports participants and vulnerable adults. Club venue: It is important that the club ensures that the venue and the equipment it uses are fit for the purpose for the age groups and ability levels using them. Health and Safety: Abide by the NGB’S rules and codes of conduct relating to safety and best practice relating to their sport. First Aid: The club should have qualified first aiders available for functions and events. The club should have one or more first aid kits and be able to deal with minor accidents/injuries swiftly. Record keeping and reporting of incidents and accidents: The club should have records of names, addresses and contact details of members and the facility to record any accident/incident. Knowing your club and community: this ensures that your club is committed to fairness and equality in the way it seeks to attract and retain members of the local community. 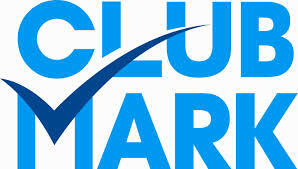 Clubmark clubs are committed to ensuring that they are accessible to the local community. Also that they are proactive in the encouragement of new members from the local area.